Hello! 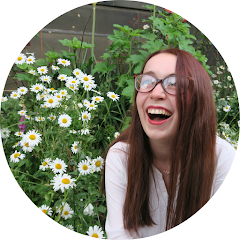 This is my first guest post and Hayley is kind enough to let me do it on her blog! My name is Vicky and my blog is describethesky.blogspot.co.uk if you want to take a look. I mainly blog about beauty because I just love it so I’m going to write something beauty related. 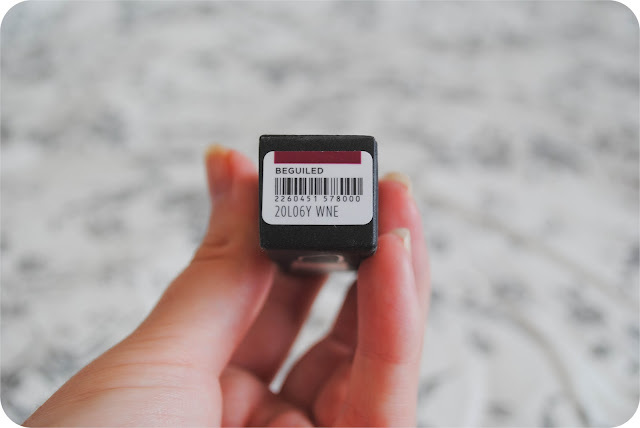 I’m going to talk about a recent lipstick purchase. I’ve only just started wearing lipstick. I only own 2, Barry M’s Pink Suede and Rimmel’s Lasting Finish Lipstick in One of a Kind. Lipstick can give any basic make up look a different feel depending on the shade you go for and that’s why I love it! I’ve loved the Topshop shade’s for a while and read lots of good things about them on blogs so I bought one for myself. 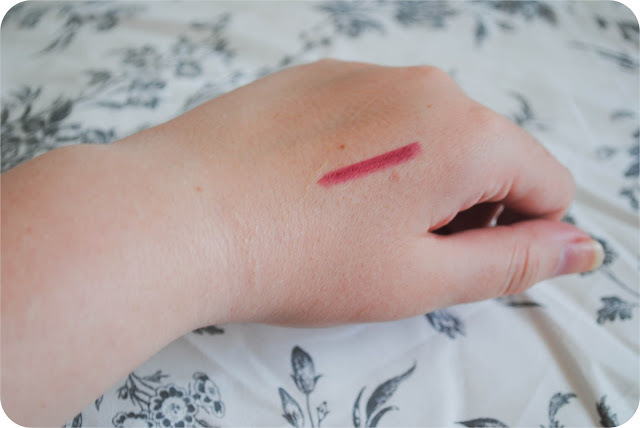 I had my eye on Innocent which I looked at online and it looked a lovely dull baby pink shade but when I tried it in the shop it was just a bit too pink for me so I ended up buying Beguiled. It is this gorgeous shade of dark pink/red. I thought I would go for a different, more bold shade to what I already have for when I’m feeling a bit more brave! I tried this colour on my hand in the store and loved it. However when I applied it to my lips once I got home, I was a bit over whelmed! It is a lot more pink based than I had thought and it is very bright on the lips. I still really like it, it’s very different to the shades I would normally wear so I’m just not used to it! I think until I get a bit more brave! Until then I will maybe apply it with a brush so the colour isn’t quite as heavy and there is just a subtle hint of it. I also think the texture of the Topshop lipsticks is quite dry so I would have to wear a clear lip gloss over it I think. 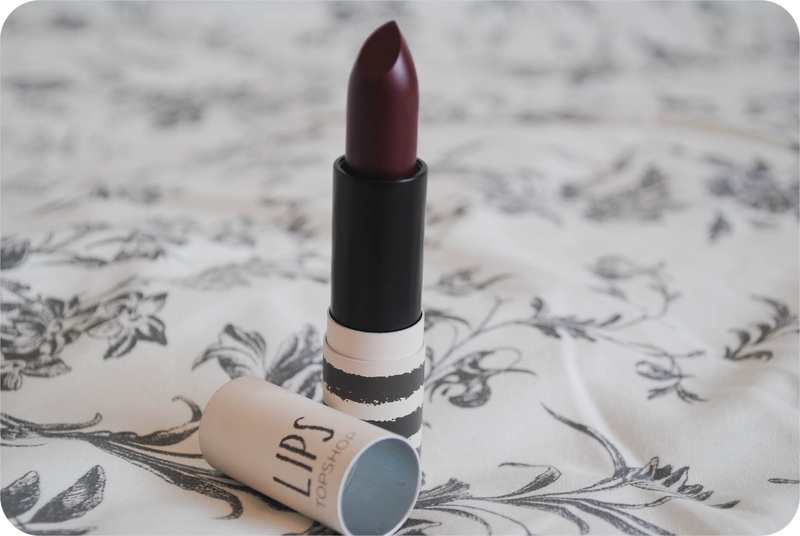 Do you like Topshop’s Lipsticks? What are you favourite shades? If you would like to guest post on my blog feel free to send me a tweet or an email.